The 2 day beginner course is ideal as an entry into the sport. The first day follows the same outline as the one day kitesurfing lesson - an introduction to kitesurfing and the fundamentals along with how to fly a small trainer kite, set up and tuning of a kitesurfing rig and body dragging techniques in the water. As with any of our courses, all of the necessary equipment is supplied. The 2 day kitesurfing lesson is run very frequently between March and November during the week and at weekends, ideal for a weekend break. It's all practical - The second day of the kitesurfing course is 100% practical, all the theory and land based work has been completed on the first day so from now on it’s all time in the water. Equipment rigging & tuning: We start with re-enforcing the kite assembly learnt on the first day by setting up a kite each under the guide of our qualified instructors. This is especially useful for those people who are doing their second day separately to their first day, as you may well have forgotten some of it! 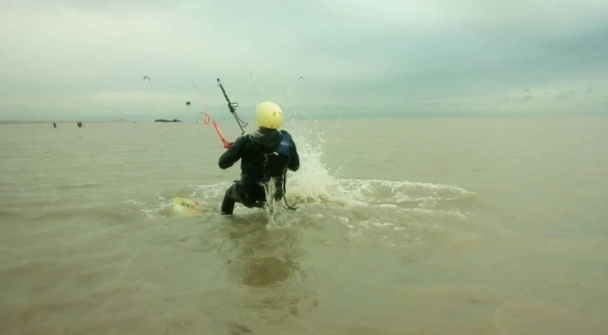 Using the latest 2019 kites and equipment for maximum safety and usability with thick wetsuits to keep you warm. Once set up and pre-flight checked, we move into the water. Advanced body dragging & introducing the board: Continuing from day 1 with more advanced body dragging & kite control techniques in preparation for the introduction of the board. This time you will learn to bodydrag upwind, a super useful skill for getting to your board later on! Once mastered, we follow on with the theory behind riding a board and some practice without the kite before trying for yourself to put together everything you've learnt so far. 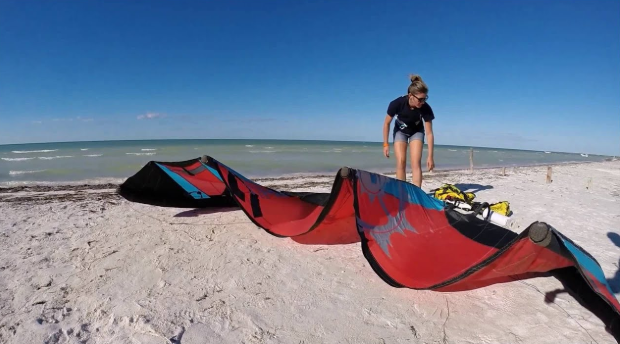 The board start is a key part of kitesurfing, and there's a lot to it, so you might need a few attempts before you get it right. Don't worry though, there's plenty of time to cover it in the lesson and lots of things you can do at home to help practise! Board starts: Once you've got the theory down, you're ready to try your first board start! This is the part where you really start to feel like a kitesurfer - diving the kite through the sky and rolling up into standing position. Before you know it you'll be up and out of the water and trying to ride along. 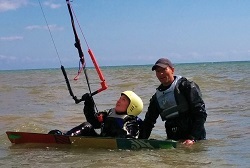 Continuous runs: The aim of the session is to introduce power into the kite and control of the board to progress from board starts to some short continuous runs as well as learning how to stop. Skimming across the water with the wind in your hair, now you're really kitesurfing! 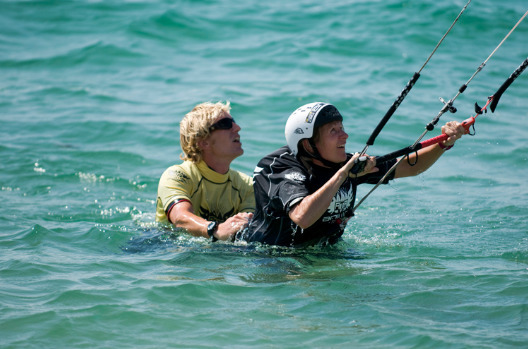 Recap and demonstrate the self rescue: During the kitesurf course you will also demonstrate to the qualified instructors a deep water emergency packdown procedure to re-enforce that was shown to you on the first day of the kitesurfing lesson as it's such an important aspect. The lesson is completed with a debrief and individual suggestions on how to continue the sport. 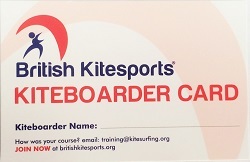 Each student is given a handout package including BKSA certification showing the level you have achieved, magazines, stickers and information about suitable kites and boards to buy – including discount vouchers for the range of ex demo/ pre owned kit and new equipment package deals that we offer. 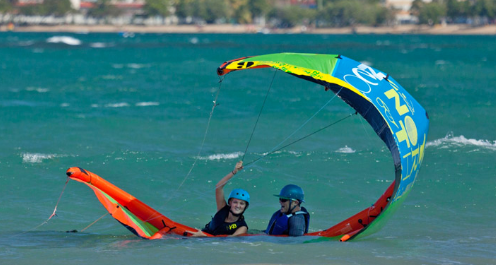 There is huge amount to cover and learn in the 2 day kitesurfing course, if you are keen to take up and continue the sport we usually advise the 3 day kitesurf course to become more independent. 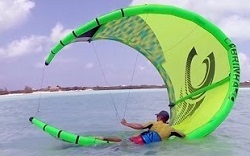 All equipment and insurance is included in the kitesurfing lesson.